One of the goals with Hacking Chinese is to foster more independent learners. Of course, I realise that most of my readers are already quite independent, otherwise you wouldn’t have found my website and you wouldn’t be reading this article. Still, being an independent learner isn’t always easy, especially if you try to do everything on your own and have no teacher or your teacher is too busy to answer all the questions that invariably pop up when learning a new language. Then you need to find help elsewhere. Obviously, the most efficient way is trying to find the answer to your question online. If you have a problem or a question, it’s quite likely that someone else has had the same problem or question before. It’s also possible that someone has written a good answer. So, before you use the resources provided further down in this article, make sure you check if there already is a good answer. Remember the importance of language question triage. 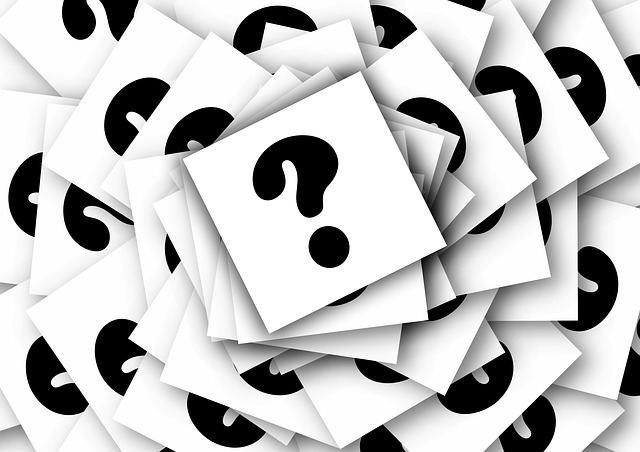 Do a quick search to see if someone has already asked your question. This is important, because the people who know a lot about Chinese and frequent the websites are people who probably feel annoyed by answering the same question time and time again. Not looking through the archive is not only being lazy, it’s also a breach of etiquette. 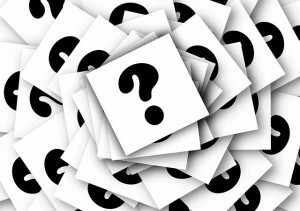 Without being long-winded, add as much information as you can to your question. Don’t assume that people know what you mean just because you think your question is obvious. Also add examples, context or anything else that might help people understand what you want to achieve. Context is essential if you ask any “what does this mean in Chinese” questions. Show that you have made an effort to find the answer yourself. This is very important on some sites (Stack Exchange in particular) and people might not help you if you don’t show that you have at least tried. In other words, answers that can be found quickly in a dictionary or on Google aren’t very good and will earn you a bad reputation. If you have tried to find the answer and failed (or if you think the answer is confusing), go ahead and ask! Be polite. You’re asking people to help you solve a problem for free. They are under no obligation to help you and do so mostly because they feel like it. Even if it’s free (or perhaps exactly because it is free), you should be polite and treat the people who try to help you well. Chinese Forums has been running for a very long time and has gathered a respectable number of knowledgeable second language learners as well as native speakers. The forums cover almost everything related to Chinese or China. The archives are huge, so the likelihood is that your question has already been answered before. Chinese Forums is best suited for discussions, but work well for direct questions as well. This is the most versatile tool available. Be polite and people will be polite to you. Stack Chinese is fairly new and in beta, but it’s still very useful. Unlike Chinese Forums, this isn’t a forum at all, but rather a place where you can ask direct and specific questions. The other users then try to provide the best answer to your question, adding and editing each other’s answers. Users then vote for different answers, provide comments and so on. This is the place I go for really tricky questions, but do be sure to show the others that you have tried to solve your problem on your own before posting. Stack Chines is only about Chinese language usage. Reddit is a social news and entertainment site where people post links, pictures or short posts that other users can vote up or down. Even though you can ask any kind of question, it’s fairly clear that most users lean towards the lightweight end of the spectrum (entertainment). For instance, funny questions, links or answers typically receive much, much more votes than interesting or good alternatives. Reddit is still a good place to hang out for some cool links and for posting occasional questions too, especially if you want a quick answer. The relevant subreddit is called Chinese language and is linked to above. Quora is quite similar to Stack Exchange, but is much more chaotic. I spent quite a lot of time reading on Quora a while back, but I gave up because it just felt like a more sloppy version of Stack Chinese. However, they aren’t quite the same, since Stack Chinese has quite strict rules about posting and Quora allows almost anything. Therefore, if you want to ask wider questions about language learning, Chinese society or anything else, Quora is still worth checking out. If you don’t know where to start, check Mandarin Chinese and Learning Languages. Needless to say, Quora isn’t limited to Chinese at all, so you could in theory ask anything about any topic. Lang-8 is a website that helps native speakers of different languages to connect and help each other learning a foreign language. 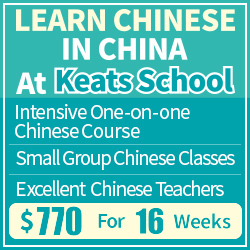 You help other people learning your native language and Chinese people help you learn Chinese. This is done through a neat system where you gain points for helping people, so you don’t have to find someone who happens to want to learn your native language, the system does that for you. I use Lang-8 mostly to receive feedback on sentences or paragraphs and it’s really good if you want to ask: Can I say/write like this? These five website pretty much covers everything I need. How about you? Have I missed anything? Knowing where to go when you need help is essential for independent language learners, so please share if you have additional suggestions! This advice reminds me so much of dealing with open source software communties: ask a complete question, provide lots of context about your question, and be polite, especially if you are new. I’d also add that after you get an answer to your question, reply to the people who answered, and acknowledge that you received the answer, understood, and also thank them for their help. Yes, thanks for mentioning this! In case the answer is not straightforward, this is also a chance to make sure that you really understood the answer. If it’s a grammar question, perhaps you can try writing a few sentences on your own, etc. One piece of context that people often seem to forget is your Chinese ability. A beginner or an advanced student might ask for help finding resources but have very different expectations on what is actually helpful. Yes, really good that you mention this. Adding at least a bare minimum of information about your current level (such as “beginner” or “upper intermediate”) sometimes makes it much, much easier to answer. The tips above are valid. However, does asking a question really need to be that much work? Is it possible for everyone to just be a little more laid back, lighten up a bit, and not be in such a hurry to get upset? Everyone is so tense these days, and perhaps these same people are hosting websites to answer questions related to China and Chinese. In concept a site to answer questions, should be far more willing to deal with anything and everything that comes its way. If I have to read, understand and abide by a law book just to post a question, that really takes all the romance away. Plus, stupid questions are not necessarily stupid just because the “admin” thinks so. Are questions that have been asked before really that big a deal? How about just reply with a link to the answer you already wrote. That would take oh about ten seconds… help tremendously the person who asked the question. That would be like asking a local how to get somewhere or just look at the map yourself… sure you can look and search around the map yourself, but isn’t it so much nicer to have a local show you on the map exactly where you need to go??? Wouldn’t a kind, patient, helpful site admin essentially do the same when they quickly direct people to the content they’ve previously written… instead of insisting someone “searches” for it themselves? The idea of a real community is, it is safe to ask and safe to learn. Dare I ask the same question a hundred times, that’s what makes a great community and great teacher… patience, dedication and readiness to help, over and over again. Well, I better stop typing or this post will be in clear violation of bullet number two above… perhaps it already is. 1) https://www.hackingchinese.com – yes, I read pretty much every post and have for years. It made sense all things considered to post it first here. 2) http://www.sinosplice.com – pretty much the same as the above. 3) http://www.mandarinposter.com – like their site, design work is great and the poster is a cool idea. 4) http://www.chinesepod.com – their blog has free podcasts and good info, not to mention their paid content is solid. 5) http://www.lawandborder.com – excellent site on China legal issues and visas. 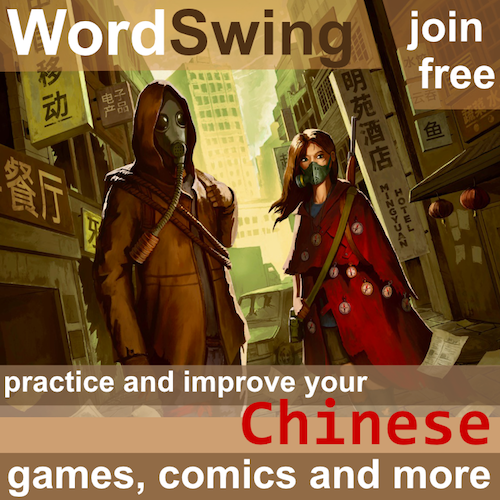 6) http://www.skritter.com – highly invested in helping people learn to read and write Chinese, something near and dear to my heart. 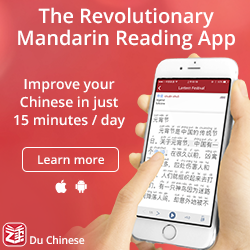 7) http://www.nommoc.com – personally invested in, an app I use pretty much daily to learn how to write the most common Chinese characters, plus helps people who want to study Chinese in Tianjin. 8) http://www.commonchinesecharacters.com – an online database of the most common Chinese characters. I looked everywhere for a site like this, in the end just had it built myself. 9) http://www.mdbg.net – solid online dictionary, especially useful because it can query multiple character searches of completely unrelated characters at the same time, and will automatically group results based on characters that form words. 10) http://www.allsetlearning.com – I like it because of it obvious relation to John and it gives a real and honest access into doing business in China as a foreigner, plus content on it, is different than sinosplice. That’s the top ten at current. Worked for Letterman. What you are describing is an ideal situation and naturally it would be best if there were sites with hordes of volunteers who would answer any question without complaining about that the question has been asked before or that the student has provided too little information to be able to provide meaningful answers. However, as far as I know, there are no such websites. Thus, this article is a guide to how it works in practice, not a description of how I want it to be. I also don’t think your analogy with Google is very good. The main difference is that Google earns money by providing good services. Most of the services I linked to here don’t have commercial interests, but even if they have, they people who actually help you with your language questions still don’t get paid at all. That’s why it will always be the case that the person asking the question has to adjust to those who can answer it or risk not finding an answer. This might be regrettably, but it’s definitely true. I think Sinosplice.com should be included. 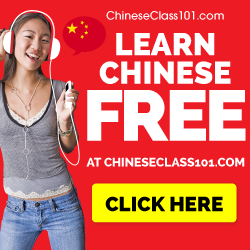 John, the author behind this site, has lots of free tips on learning Chinese. He has also conducted postgraduate research in Chinese linguistics at a Chinese university and so is well respected academically also. Thanks for the support, guys! I am always struggling to find the time to keep up with great Chinese-related blogs like this one, but it’s great to see these comments. I have been searching everywhere to see if I would get some answers to my questions regarding chinese online stores. I have some screen shots of the home page of some of these websites but I don’t know their url. Please, can I get some help with this?